Single in Line Package (SIP) converters, traditionally offered 0-20% load regulation. Amtex has released the wide range of Single in Line Package converters from 1-2 watt, offering full regulated outputs, line and load typically ±0,5% in single and dual output options. Amtex also offer units at this low power range with a 2: 1 input range. In addition the IW series is available in a SIP7 or a DIP14 case with wide 2:1 input range. Output power of 1W and regulated single output options of 3.3, 5, 9, 12, 15 and 24vdc as well as dual outputs, with standard 1000vdc isolation or 3000vdc option. Amtex IU series 2W models also offer wide input 2:1 input range, in SIP or DIP package fully regulated at ±0.5%, making them suitable for a wide range of low power applications, where space is at a premium. 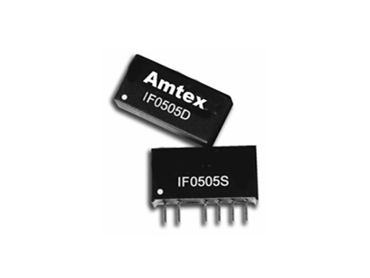 These units are just a few of Amtex wide range of low power dc/dc converters that make Amtex the ideal choice in low power dc/dc converters solutions.